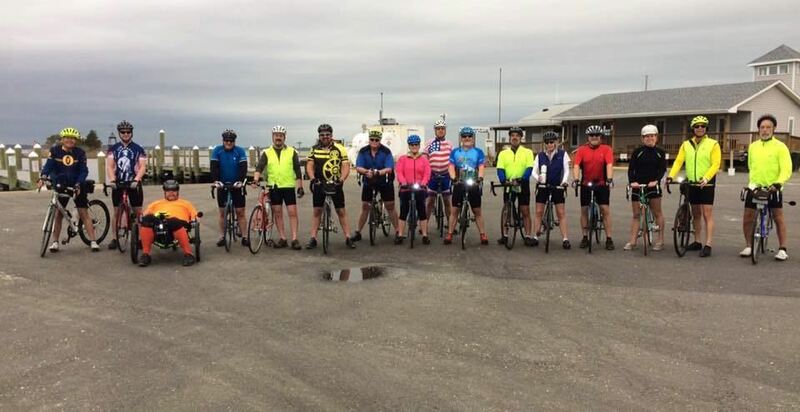 On this page you will find our weekly recurring rides, organized by season. *Occur weekly, April through September, except as noted. Also check the winter and year-round rides further down the page. York Hall (301 Main St, Yorktown. Park behind building @ 116 Church Street ). For 2019, this ride starts on March 11 at 5:30 pm, with ride time moving to 6:00 when daylight allows. No ride on Memorial Day, May 27 or Labor Day, September 2, 2019. Anyone who did this ride with Brian Utne would probably agree that he always made every effort to maintain its reputation as "the friendliest 'A' ride you will find". We will be doing about 27 miles at an A- Pace, keeping the rolling speed between 19-22 mph and regrouping at stop signs & intersections. 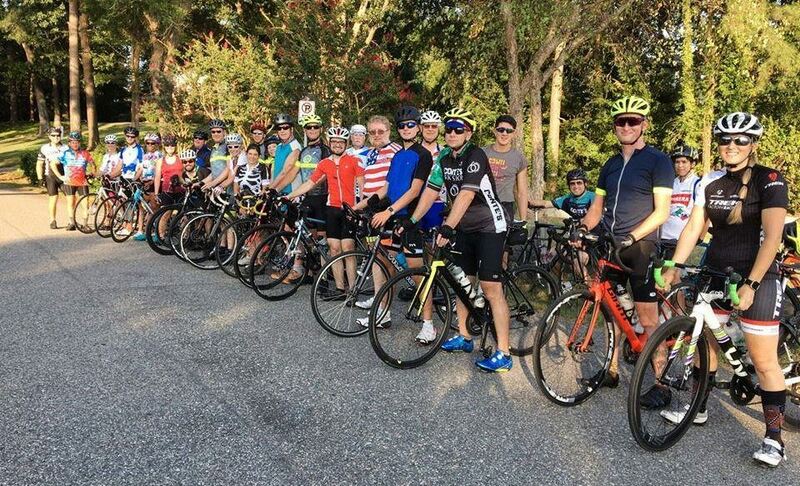 Come out and enjoy an awesome ride with great company! For 2019 this ride starts April 1 and ends August 26. No ride on Memorial Day May 27 or Labor Day September 2, 2019. This PBA ride is C pace, rolling 12-14 mph with a couple sprint options and one rest stop. 17-20 miles depending on daylight. One leader leads and one sweeps for half the ride then they swap for the second half. Robb Myer - Cell: 757-812-9942, Email: threespeed67-pba-ride-leader@yahoo.com. *Route sheets available by email. Come help make it great! This is one of PBA's signature beginner-friendly rides. C pace, no one dropped. 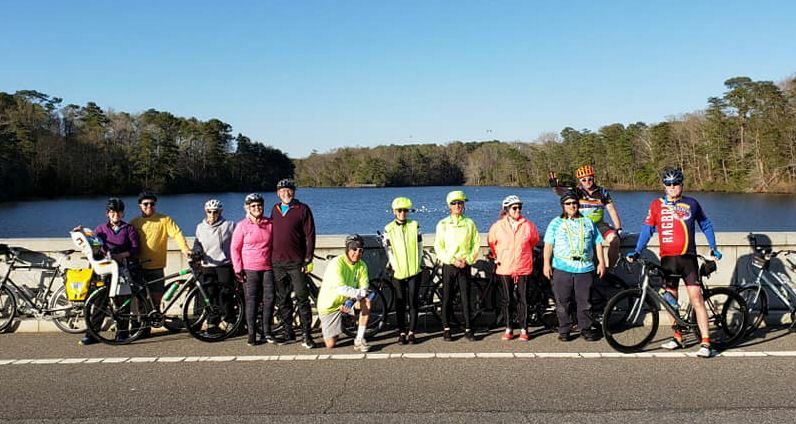 We do about 20 miles similar to the Squirrel Scalper route -- Deep Creek, Maxwell Gardens, Hidenwood, Riverside, Lions' Bridge, Warwick on the James, Brandon Heights, Hilton Village and back through the Mariner's Museum and CNU. For 2019, this ride will start on March 20 at 5:30 pm. Start time will move to 6:00 when daylight allows. This is a casual ride. 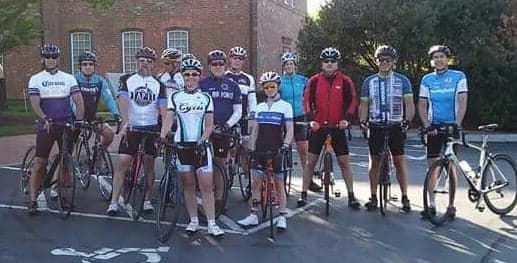 Great for beginners, anyone new to group riding, or anybody who just wants to enjoy an easy ride with some great people. We will do a 9 mile loop keeping speed below a 'C' Pace, probably no more than about 10 mph, or as fast as the slowest rider. Nobody will be dropped. Ride occurs weekly from March through October. Continues in light rain, but will be canceled by heavy rain, lightning, and temperatures below 35 degrees. 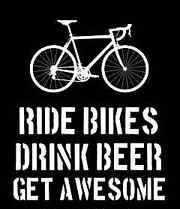 Stay for beverages at Whole Foods after the ride! Contact Jake Smith through Facebook with any questions. For 2019, this ride will start April 4th. Meet in the parking lot at the end by Pizza Hut. This will be a no drop ride, but plan on maintaining 18-20 mph on the flats. Please have front and rear lights. For 2019, this ride starts April 11 and ends on September 26. No ride on July 4. This PBA ride is B- pace, rolling 14-16 mph with a couple sprint options. 20-25 miles depending on daylight. One leader leads and one sweeps for half the ride then they swap for the second half. Park in the Food Lion parking lot at the end closest to the bistro (left side when facing Food Lion). This ride is an option to get some miles in during the winter when it's too dark after work for the regular summer evening rides. Clockwise on the Kiln Creek Loop, 3.3 miles per lap, 6 - 12 Laps. We start around 5:30 pm, but since this is on a short loop, riders will be lapping past the park about every 10 minutes, so it's easy to join in at any point. 'A' pace group only; 35 miles. 35 mile route follows the same route as the B pace ride, so if you drop off the B's will pick you up. 50 mile route follows the same route as the B pace ride until Surrender Road, so if you drop off prior to that point the B's will pick you up. Purpose: B pace ride without "pace creep", practicing group and motor vehicle friendly techniques. Group size limit twelve; then we recruit a leader and form two groups a couple minutes apart. There is no weather cancellation date. Riders must be able to hold on at the 16 to 17 mph group pace. Weather cancellations posted on Facebook a minimum of 90 minutes before ride start. A ride rolls at Kevin Butler-Au’s discretion, ref Facebook posting. Prevailing temperature prediction is at or above 50 F during the ride. Surface Wind at or below 15 mph. Wind Gusts at or below 20 mph. At ride leader’s discretion with ref to wind, temperature, and chance of getting wet.